George Doro Fixtures: Downtown's Next Big Thing? 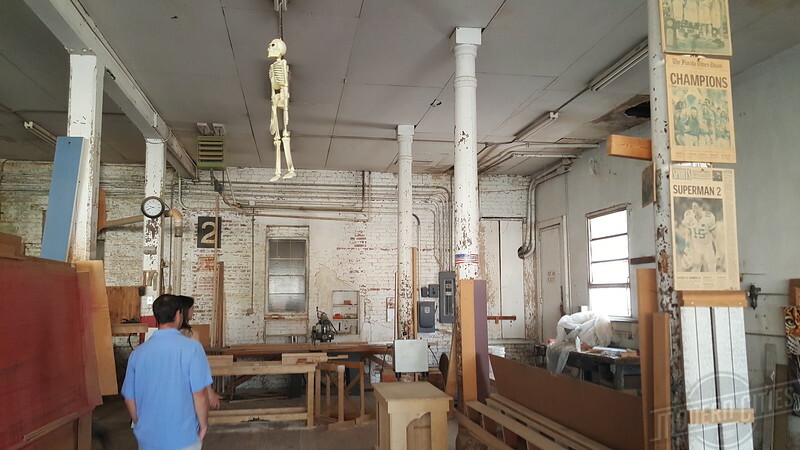 In Jacksonville’s world of historic preservation and architectural heritage, early-20th century industrial buildings rarely recieve a second glance. Last week, I took advantage of the opportunity to tour the George Doro Fixtures Company with Paul Grainger, Philip Potter, and his lovely wife Cari Sánchez-Potter. Paul’s company, Iconic Real Estate Investments, acquired the Doro complex in March 2016 for $2.5 million. 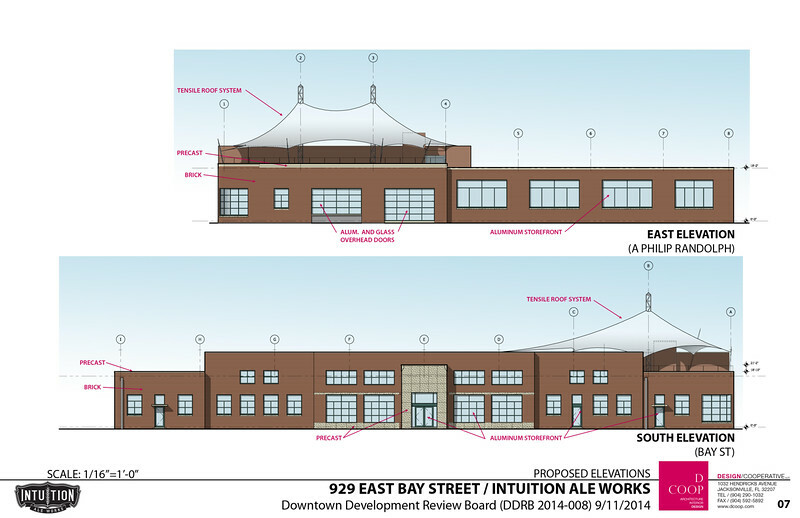 Reminiscent of industrial adaptive reuse projects across the country, Iconic plans to transform the Doro buildings into an epicenter for culinary, cultural and artistic creativity by embracing tenants who will be catalysts to redevelop and reimagine the area. You don’t have to go far to see their commitment to the area and vision taking shape. The property at A. Philip Randolph Boulevard and East Adams Street, is right next door to another warehouse building that Iconic acquired in 2015 for $2.2 million. Currently that structure is in the process of being renovated to house Manifest Distilling and craft brewer Intuition Ale Works. In addition, that project includes raising the building’s roof to accommodate larger fermenting tanks and the addition of a 4,000 square foot roof top biergarten. With that in mind, getting a look inside a place that oozes long lost Jacksonville history was a must see opportunity that I could not pass up. 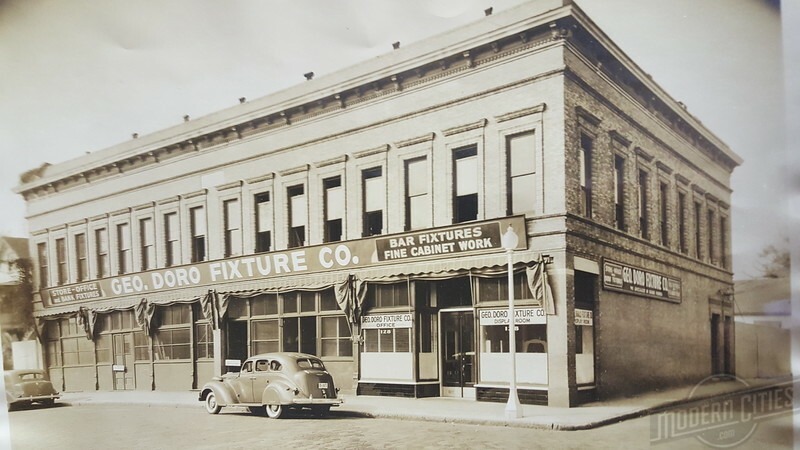 Established in 1919, the George Doro Fixture Company manufactured wood office and store fixtures, partitions, shelving and lockers, many of which can be found in buildings throughout the city today. In addition, Doro’s maze of brick buildings are a few remaining fragments of an era before stadiums, arenas, ballparks and surface parking lots replaced the surrounding community. In fact, the two-story commercial building, where the business founded, dates back to 1904 when it was constructed as a mixed-use building, featuring street level retail shops and upper floor apartments in the heart of East Jacksonville. After the Civil War, East Jacksonville emerged as a late 19th century streetcar suburb of Jacksonville. By the time it was annexed in 1887, it was home to nearly 2,000 residents. Tying the riverfront and East Jacksonville with the neighboring suburb of Oakland (now the Eastside), Florida Avenue (now A. Philip Randolph Boulevard) served as the community’s retail epicenter. When the George Doro Fixture Company was established, most of the block was occupied by single-family residences and the nearby riverfront was dominated with a building material found in great supply inside Doro’s historic walls….lumber. Two decades before World War II would bring the St. Johns Shipbuilding Company and its 20,000 employees to the area, lumber wharfs and planing mills such as Eagle Saw Mill, Standard Cypress Company and the Alligator Saw & Planing Mill dominated the landscape. Doro operated their business for 97 consecutive years before selling their property and walking away from it “As Is” in March 2016. While the decades passed and the neighborhood changed around it, a tour of Doro’s space is like taking a walk back in time. Inside you’ll find everything from antiques, old machinery and forklifts to murals from make-shift Super Bowl XXXIX clubs and enough lumber supply to give your neighborhood Lowe’s a run for their money. Better yet, the utilitarian mix of brick, wood and structural steel elements from five decades of building expansions provides a series of open spaces with their own unique feel. While Iconic Real Estate Investments will have to take some time to clean up the 1.63-acre property, the embracement of this piece of downtown’s industrial heritage gives me the impression that something great is definitely on the way.